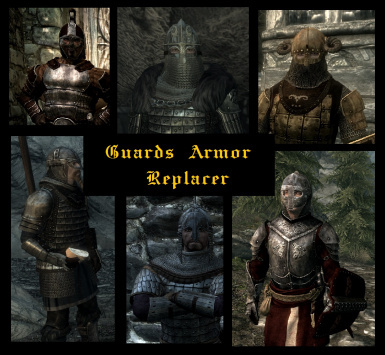 Replacer for guards and Stormcloak Armor. 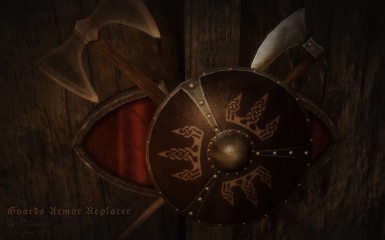 This mod was created not by me but by NordwarUA. I just uploaded it to Nexus. 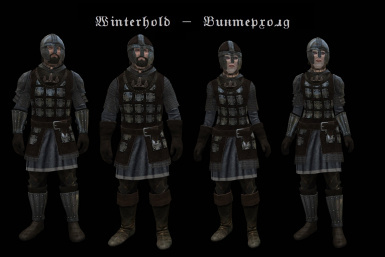 night you felt cheels while looking at Winterhold guard who wears chainmail over a naked body. 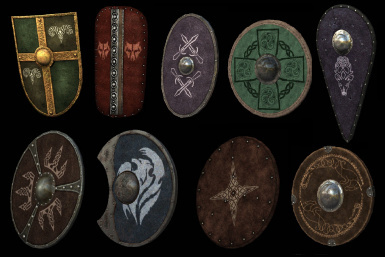 The purpose of this mod is to fix all this, while bringing as much as possible diversity to the guards equipment, while staying in the limits of lore and realism. neighbouring countries and other important factors. Equipment for every hold is divided into heavy and light, that have different appearance. All equipment works for both sexes and all races. Whiterun is a prosperous trading city of nordic horse breeders, located in the very centre of Skyrim. 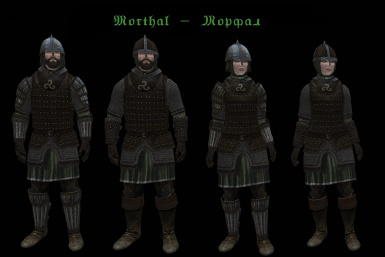 Guard armors are rich and created somewhat in style of LOTR Rohan, kind of Nordic cavalry. 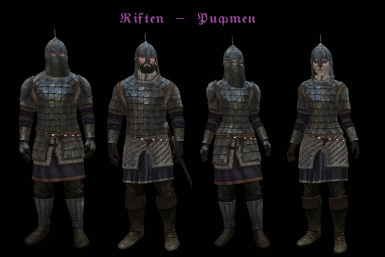 There is a special noble armor set, done specially for Balgruuf and his brother, but you can get a set yourself if you are careful while doing city quests. 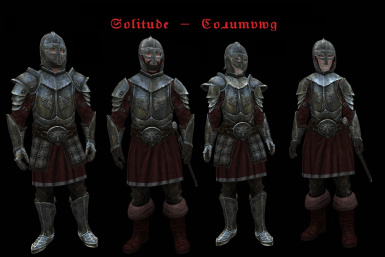 Solitude is a capital, the richest city, and so it has the most expensive armor - decorated half-plate armor in style of Polish hussar armor. 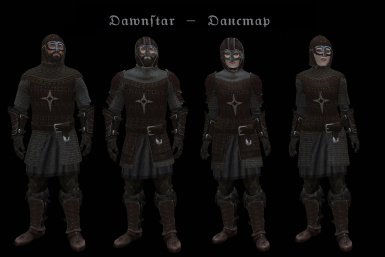 Main hero will get Champion of Solitude Armor out of ebony metal for their service to the city. Markarth is a prosperous city built by Dwemers. 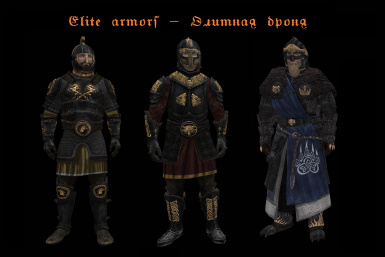 There is plenty of Dwarven scraps lying around, so skilled local smiths made guard armors from the dwemer ore. You may also notice slight Breton style. Riften is an old wooden city in the beautiful autemn forest. 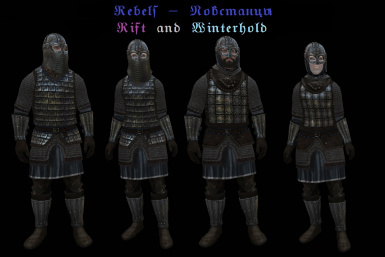 This inspired me to create Slavic styled armor for the guards. You can also find brigand ebony armor near Riften, but only if you are careful when doing quests. Dawnstar is a seaport city. 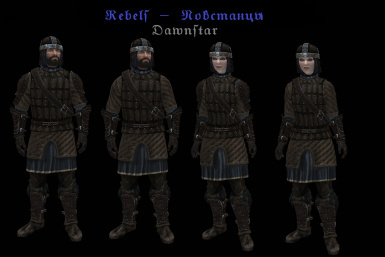 Cold, snow and moist made them cover their armor with leather. 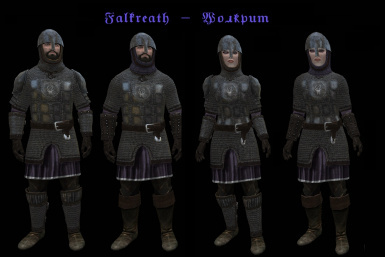 Pale Hold armors are well-know for their durability. Morthal is a poor city among cold and wet swamps. 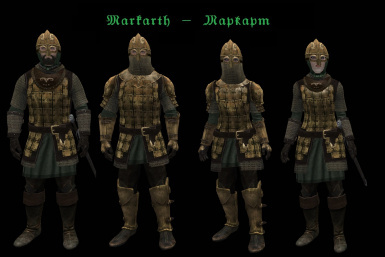 Guard's armor is made mostly of leather. 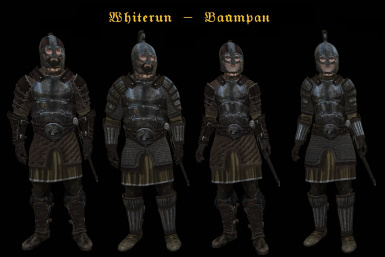 Winterhold is an ancient Skyrim capital, which is nowadays practically destroyed, but guards still wear beatiful northern leather-covered armors, that remind of the city's ancient glory. Falkreath is a small town that used to be part of Cyrodiil. 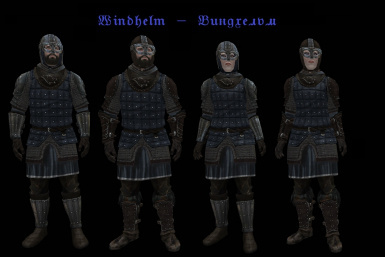 It has chainmail-and-plate armors, somewhat resembling Cyrodiil guard armors. 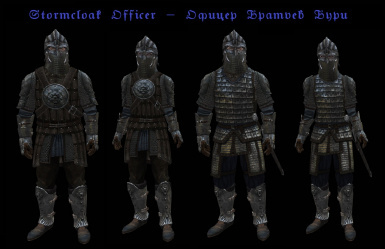 Stormcloak - new Kyivan Rus-styled lamellar armor. There are light (leather) and heavy (steel) options. Officer armor has mirror armour and relief work. Officers also get random bear cloaks. Ulfric wears new Ebony Armor. 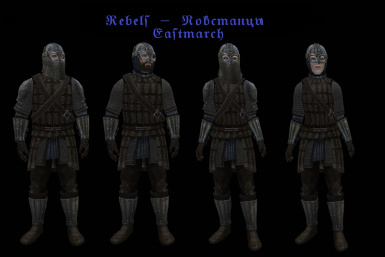 Vaultman30﻿ - Many armors and helmets are based on his work. Christian Paskota (gechbal) - Ulfric﻿'s armor is based on his Stormlord Armor. registrant - a guy who ported Witcher 3 weapons to Skyrim.